Susan is the Conscious Clarity Coach! With 30+ years of experience working with individuals who care about the world, Susan is an intuitive strategist. She helps people feel good about themselves and create purposeful connections in areas of deep and abiding interest. Susan helps clients get Conscious, Clear and Confident, live in Purpose; Legacy, fulfilled. Susan’s brand includes enthusiasm, confidence, Magician [Allegory Studios]~a transformer, and a Nurturer Voice [5 Voices]~a champion of people. Above all, authenticity is her hallmark. Using these brand attributes allows her to work easily and quickly to help clients on the path to greatest success. A passionate and motivating speaker, people thank Susan for inspiration to take action. When the subject is philanthropy and creating positive change in our world, no audience is too small or too large for Susan; she's happiest when she feels a energy growing in interest and commitment to action. As a Legacy Coach, she inspires people to understand their life’s experience and purpose and helps to transform that purpose into a philanthropic passion plan. Another service line, Confident Fundraising is a fundraising coaching business to help nonprofit leaders get and stay on track towards higher income goals. Her specialty is personal fundraising coaching to help nonprofit CEOs learn how to solicit--overcoming the fear of asking, and help them attain ambitious and necessary goals. Susan offers a free mentoring program to teach her Confident Fundraising methodology to young professional colleagues. Personal Coaching is a service line that started at the behest of friends, colleagues and even strangers. 'I feel so much better after talking with you!' became such a constant refrain that in 2015 Susan launched as a Coach. She works in deeply personal conversations with clients, listening and asking insightful and targeted questions to encourage people to see their truth and take action. Certified Coach Practitioner by the Certified Coaches Alliance, Certificate Number: 755878. Being a donor and volunteer herself has provided a personal perspective and insight for her work with individuals and charitable organizations. She is a pro bono Global Strategic Advisor to Jewish Girls Unite and has worked with the CEO to help conceptualize this global movement which serves her own passionate philanthropic commitment of helping Jewish daughters become Jewish mothers. For 20 years she has been a pro bono advisor to the CEO of the Vascular Birthmarks Foundation which has networked 100,000 people into treatment. Susan is past president of her Synagogue and was on the executive committee for 17 years. Through her work in planned giving and her decade long involvement with the Daughters of Sarah Senior Community, Susan developed a passion for working with and supporting seniors; she loves hearing their life stories. Susan is somewhat surprise and thrilled to still be married to her college sweetheart, Howie, and has two daughters-Rebeccca and Sarah-whom she cherishes and of whom she is exceptionally proud. She lives in the Capital Region of NY and is a proud alumna of Mount Holyoke College. 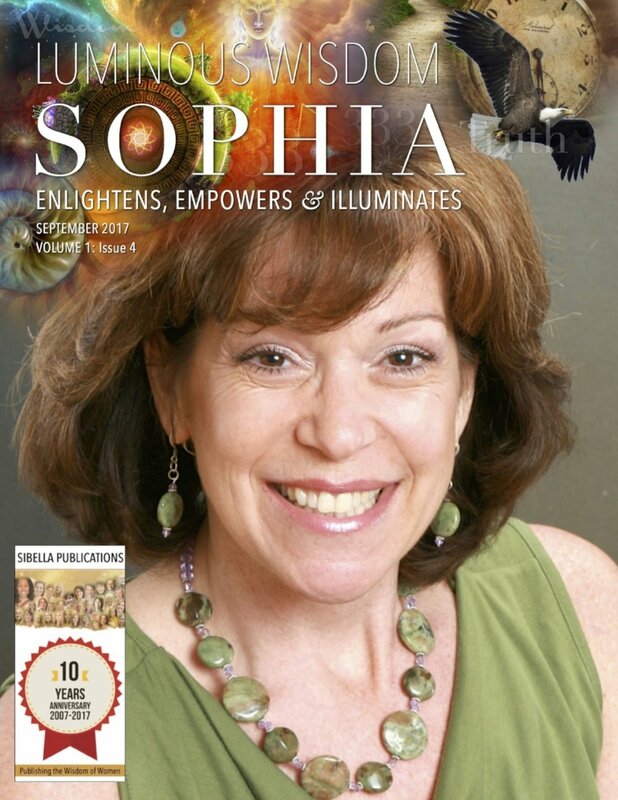 Susan is a writer for Luminous Wisdom Sophia, a global online publication by Sibella Publications. 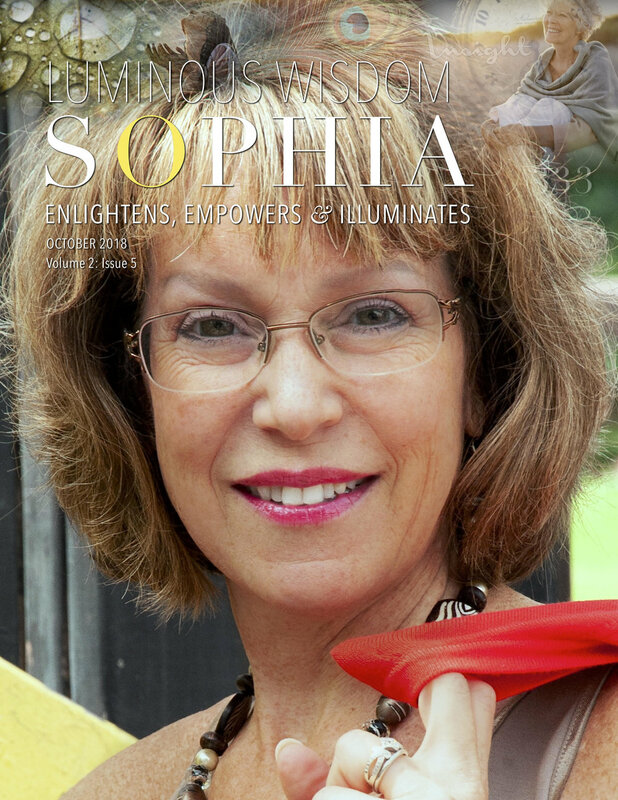 Honored to be on the cover of this online global magazine that enlightens, empowers and illuminates.